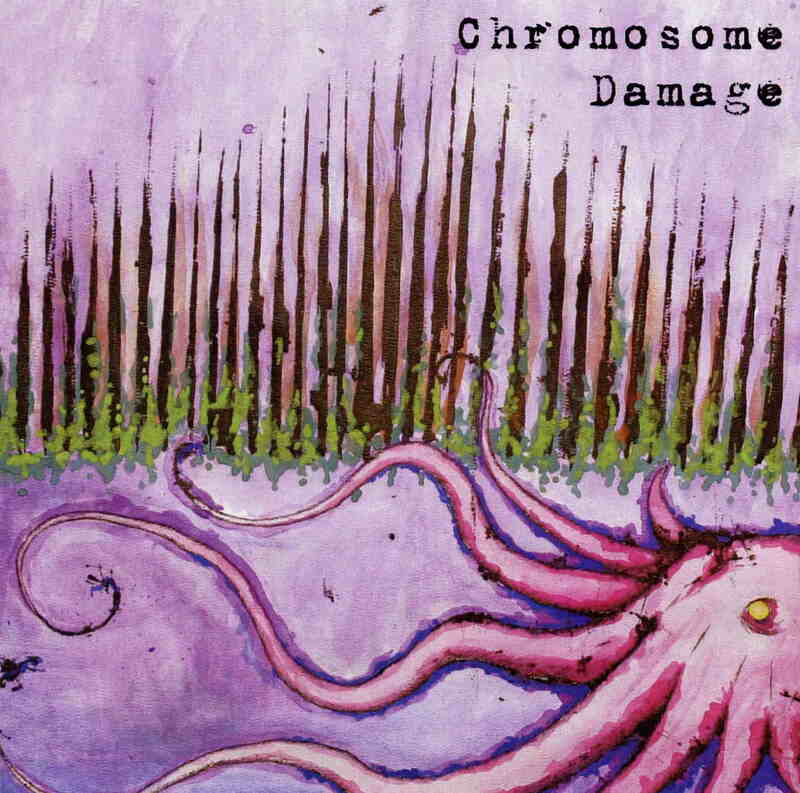 Chromosome Damage (influenced by the propaganda that LSD causes Chromosome damage) are from Texas and are probably friends with ST37! The band is a three piece with Chuck Hell (vocals, guitar, synths and samplers), Suzie Damage (Keyboards and vocals) and Collen Gugan (bass and vocals). This is some pretty tripped out psychedelic stuff and starts with a strange piece with some interesting samples and far out guitar. Stargazer is a raw number with very low fi sampled drums. The sound of this band is all about being in your face with psyched out guitar, stoney vocals and fun and crazy samples. Pretty brain rotting acidic stuff. Get it now.